Expanded Living Space – Unlike a steep slope roof, you can use most of the square footage of a flat roof. Use the extra space as a rooftop patio, a green roof or a garden. Installing a solar panel system on a flat roof is also simpler, and the solar panels will also stay hidden because of the roof’s design. 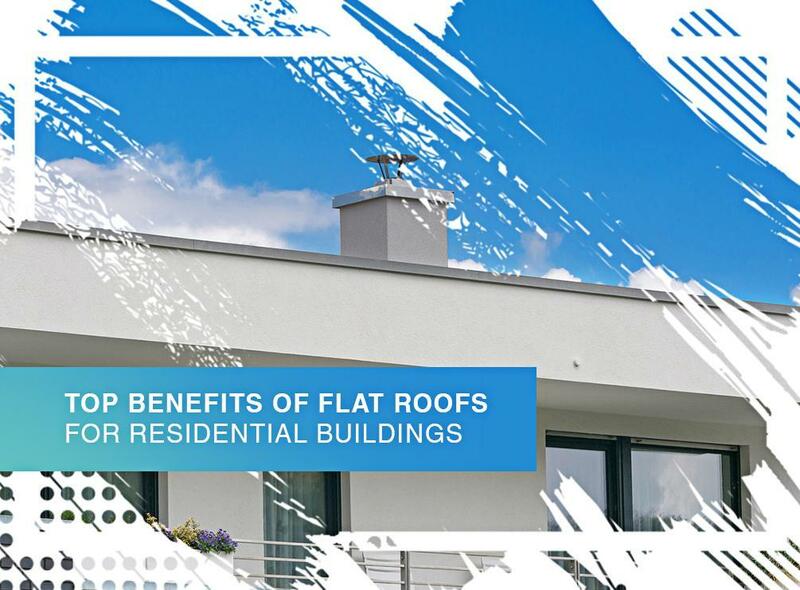 Using this extra space, however, requires certain design considerations so you need to work with a flat roof specialist to make the most of your flat roof. Excellent Weather Performance – Flat roofing systems are cost-effective and provide a viable, protective and long-lasting alternative to steep slope roofing systems. A properly installed flat roof can protect your home from any kind of weather. With good maintenance, you can expect your flat roof to last for decades. To ensure good performance, we suggest regularly scheduling roof inspections and repairs. Improved Appeal – A flat roof is an attractive choice for many home styles. In particular, it looks great on modern-style homes because the flat roof emphasizes the clean and sleek lines of the architecture. A flat roof can also complement a beautiful landscape around the home as it does not obscure the view. Our flat roofing systems can make a wonderful addition to your home. In addition to our roof installation services, we can also help with roof repair, window replacement, siding installation and other home improvement services. Skyline Contracting follows the highest standards in all of our home improvement projects. We serve many areas in Georgia, including Gainesville. Call us at (770) 561-0297 to learn more about our services and products. You can also schedule a consultation.